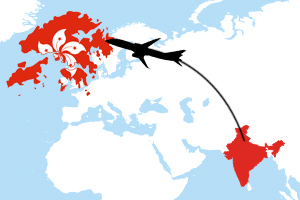 What is the Available Scheme to Immigrate to Hong Kong From India? People willing to immigrate to Hong Kong from India can apply for QMAS program. Requirement of finance: Must demonstrate that one can support himself or herself and the accompanied family members without seeking the assistance from the public during the stay in the country. The applicant is expected to have good background of education, usually of a first degree from an approved university. However, in certain situations, professional abilities and technical qualifications and achievements, which are documented, may be regarded. General points tests considers factors such as age, academic or professional qualification, work experience, background of the family with maximum of 165 points. Applicants having exceptional talent or skill and have outstanding achievements can apply for this visa. There are very high requirements under this test. Applicants can score 165 points under one scoring factor. Hong Kong Immigration, Hong Kong QMAS Points Calculator, Hong Kong QMAS Visa, Hong Kong Quality Migrant Admission Scheme Hong Kong Immigration, Hong Kong QMAS Visa, immigrate to Hong Kong from India, immigrating to Hong Kong, immigrating to Hong Kong from India. permalink.